Even if I can’t nearly afford a product that I’m researching online, I always like to look at some of the most expensive products, see what the lucky few who can afford such things get to experience. BMX bikes are one of the products that can be a bit tricky to find the best of the best since they’re built from so many various parts. Unlike the most expensive kettle or laptop, there are so many ways to build a BMX bike it’s hard to find something that isn’t catered to just a specific riding style. In this list, I’m only going to be focusing on complete bikes that are sold as stock from BMX bike manufacturers. I will be writing a separate post dedicated to custom bikes that people and companies have made for sale in the future. These custom bikes tend to be more expensive because they aren’t attached to a company that needs to rely primarily on their own products. 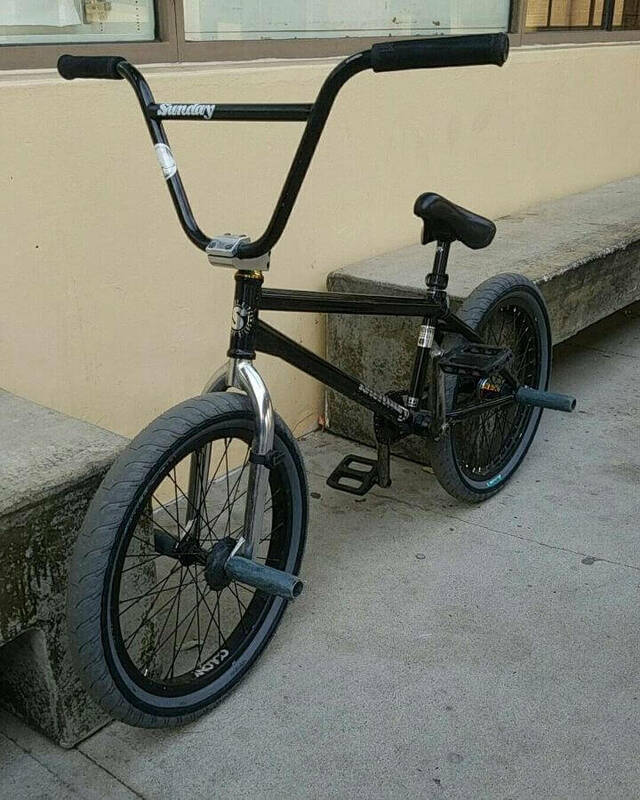 This post has been created to mainly focus on the regular trick BMX bikes that most people picture when thinking about BMX. BMX race bikes are designed to be super light and to help with a riders speed and so often get priced super high due to the innovative techniques and materials used in their design. If I was to just give you a list of the most expensive bikes I could find we’ll have a list that is 80% BMX race bikes that I know all the BMX park, street, dirt and flatland riders would hate. I have included a few for you race riders out there. 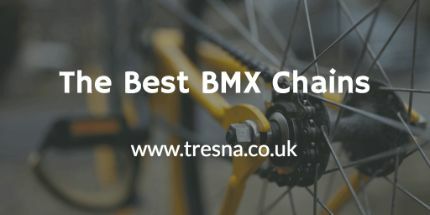 As well as the most expensive BMX bikes of 2019 we’re also going to go back a few years and look at some of the best and highest priced retro bikes of previous decades and what made them so special when they were first released. 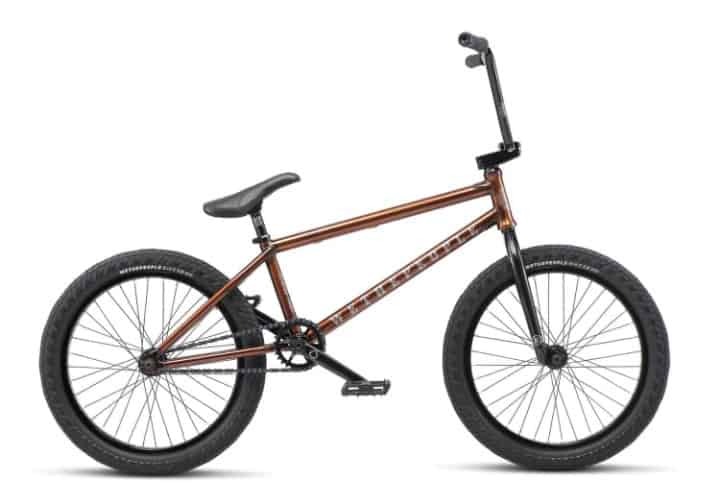 It’s hard not to notice that WeThePeople, or WTP, feature heavily in this list of the most expensive BMX bikes available in 2019. 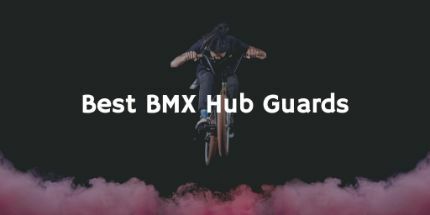 They have long been one of the highest quality BMX bike manufacturers on the market and their 2019 lineup doesn’t disappoint. This year's selection of bikes designed by WTP come in several different categories: Icon Series, Pro Series, Elite Series, Alpha Series and the Special Series. The Icon, Pro and elite categories feature several bikes each that progressively get more expensive and more suited for advanced riders. 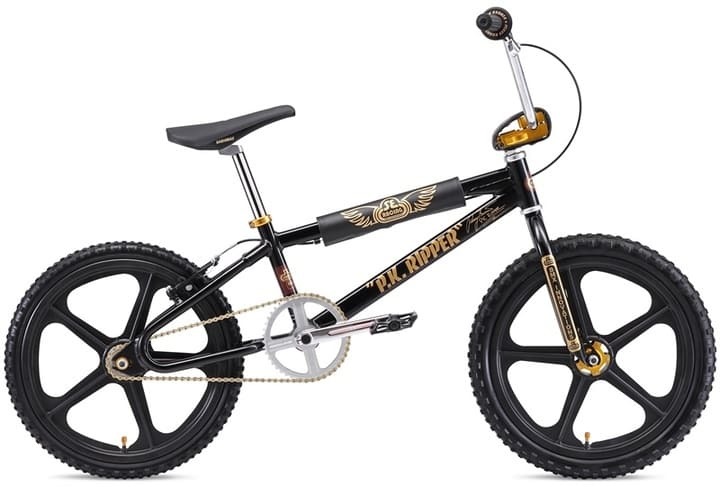 The Alpha series is a small lineup of kids bikes and the Special Series Includes some retro and larger wheeled bikes. 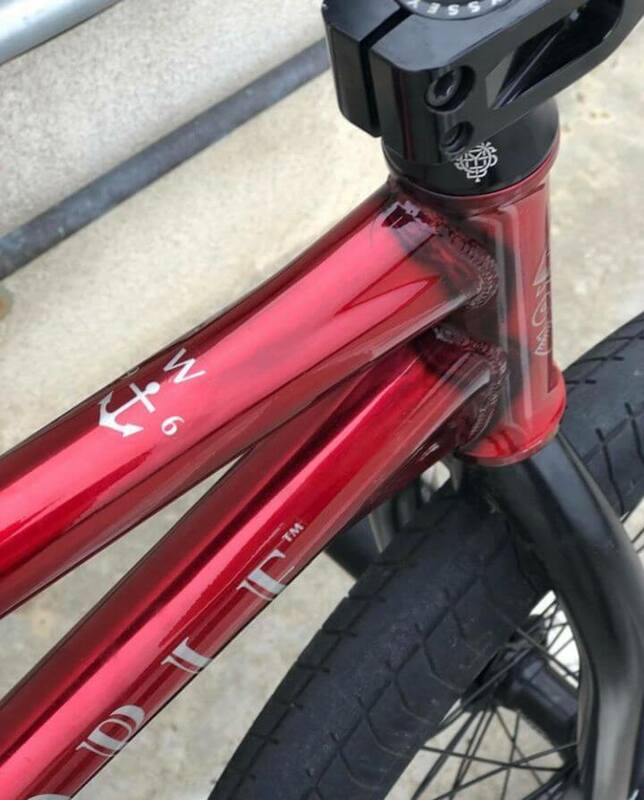 If you hadn’t guessed already, The WTP Envy is as the top end of the Elite series, towering over the Battleship and Revolver bikes that you will read about later in this post. 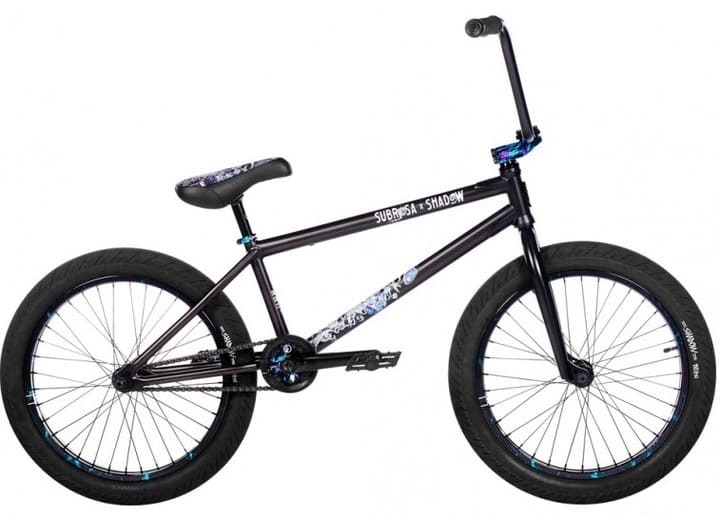 A lot of riders that have the skill or money necessary to purchase and ride a BMX bike of this quality often prefer to buy a custom bike or in fact build one themselves. It’s a slight risk making bikes this expensive as the target audience aren’t always looking to buy a complete bike. I can only speak for myself but the details that brands throw around about frame materials and the way they’re developed often confuses me. 4130 Chromoly tubing is becoming pretty widespread but that just means there’s been a tonne of new factors to discern the quality of a bike frame. The Envy frame has been developed with a high quality, high-tensile Sanko tubeset with tapered stays, dual gussets and integrated chain tensioners making it a frame that isn’t commonly sold as part of a complete bike. 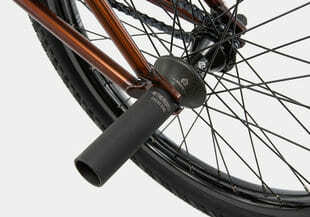 The WTP forks and bars are made with the same care as the frame, not giving any indication that it’s not a custom BMX. Unlike a lot of manufacturers, WeThePeople haven’t skimped on the smaller parts of the bike. Many brands like to save a bit of money by throwing lots of new or no named parts at their bikes, you definitely won’t find this on the Envy bike. The Envy seems to be a product a lot like a concept car that top car manufacturers design and product every now and then when the company gives designers a blank check. 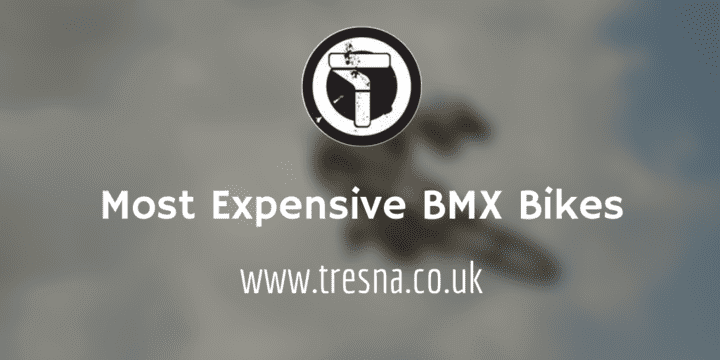 WeThePeople don’t care about the price, they’re showing just how far the design of top BMX bikes has come and what you can build when the price isn’t a problem. Top Tube Length: 20.5", 21"
Stand Over Height: 8.6", 9"
Frame: WTP Envy, 4130 full sanko, 7.5mm dropouts. Fork: WTP Patron 25mm offset fork. Brakes: Éclat Talon alloy rear u-brake. 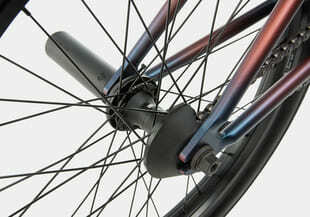 Front Hub: WTP Supreme hub, 36h. Rear Hub: WTP Supreme cassette hub, 36h. Rims: Éclat Camber double wall welded rim, 36h. Tires: Éclat Mirage 2.45" front & 2.35" rear. Sprocket: WTP Pathfinder 8mm thick, 26t CNC sprocket. Driver: 9t, 1pc cassette driver, L&R switch drive. The Sunday Soundwave BMX is a bike with very few equals. A Sunday frameset that is widely regarded as a great quality frame and one that only the best are good enough for. The bike is then littered with other big name parts like Odyssey. Gary Young, the well-respected rider that is one of the best in the field. Young started as a Dirt rider in San Diego and has progressed into dominating other BMX styles with the skills he learnt from riding dirt. The strong pedalling power, a gorgeous tabletop and some insane strength. 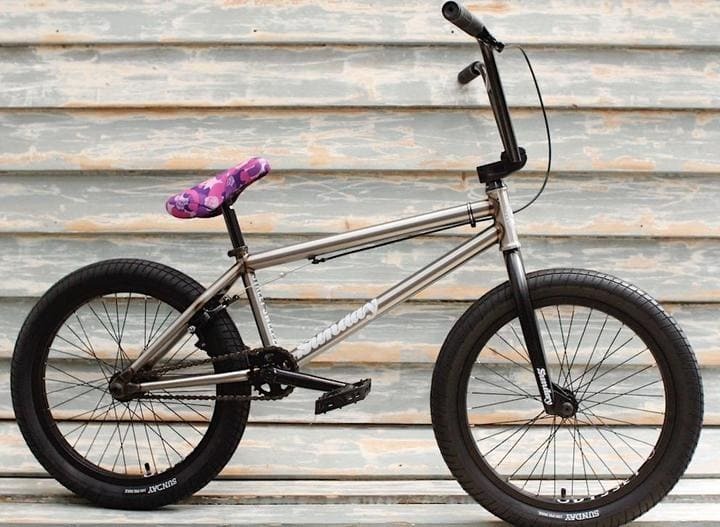 Gary has been reiterating his signature Soundwave Special BMX over the past few years, every year being one of the most expensive premade bikes available. Just look at the list of parts this bike features below, where normally you’d see some aftermarket products and no named parts, you now see a long list of expensive odyssey parts and Sunday’s best. This bike is sold with an Odyssey Clutch V2 freecoaster hub, which is a brilliant quality product but not every rider prefers a freecoaster so you should know this before looking into buying one. Have a look at the video below made by Sunday if you want to see some more angles of the new 2019 beast. 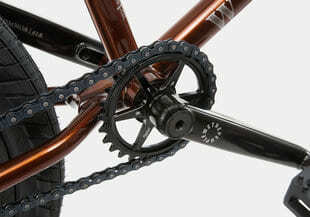 Chain Stay Length: 13.2" - 13.5"
The Battleship is another Elite Series bike made by WeThePeople. 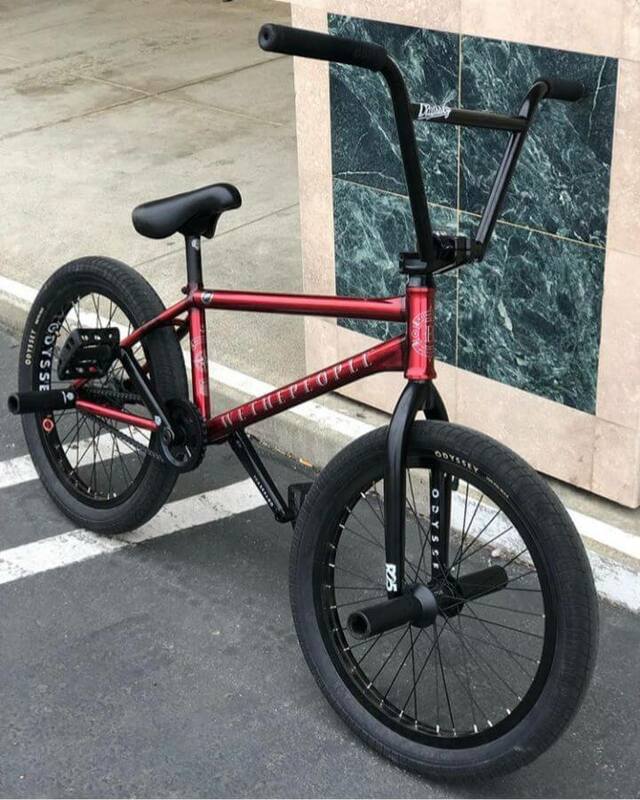 Don’t be mistaken and think that just because this bike and the Envy are in the same WTP class it means that they are similar. The designs are thoroughly developed for different types of riders and they both suit that style perfectly. The Envy frame is a very popular product for BMX street riders that like to build their own bikes. 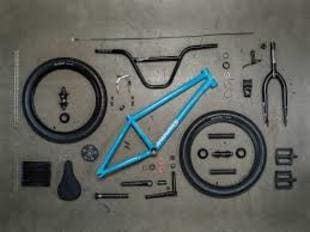 This year WTP have decided to just skip out the need for a rider to buy expensive parts and build the bike themselves. The bike has been kitted out with a full aftermarket pro parts package. It’s not a surprise that the Battleship, adequately named, also runs a great quality freecoaster giving is suitability to a vast amount of BMX street riders. 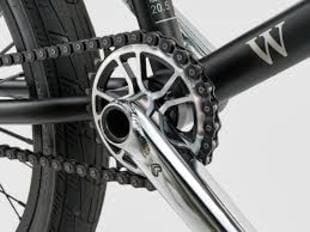 This freecoaster, along with the strength of the SaltPlus Warlock chain and the chain guard around the sprocket gives the bike near immortal status, even the hardest Pro riders can push this bike to their limits and it will still ride great and show no problems. I promise this is the final WeThePeople bike on this list. They’re just dominating the highest quality and most expensive bikes this year. Unlike the other two bikes that are predominantly designed for street riders, the Revolver is designed to work with whatever you want to throw at it, whether it’s dirt or flatland. The part selection and geometry make it an option for any type of riding and the quality of said parts will allow the best of the best to shred on it. Similar to their other top bikes, WTP has applied a top of the range parts kit to the WeThePeople frame, predominantly made up of Éclat parts, even going as far as using Éclat forks. 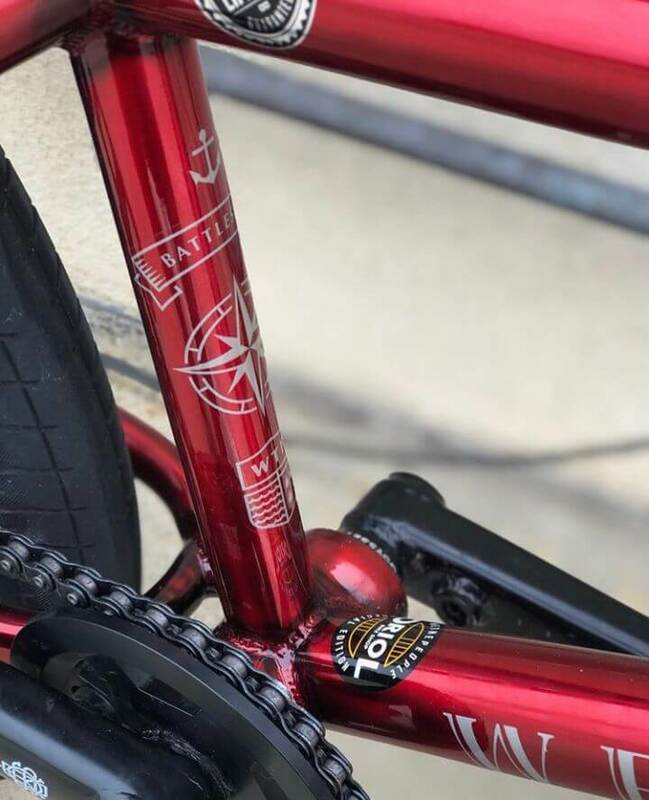 The specifically designed WTP Revolver bars and frame are intermingled with Éclat Pulse hubs, Overbite tires, a WTP compact headset and my all time favourite stem, the CNC machined Patrol stem that looks gorgeous on any bike. Tires: WeThePeople Overbite tire, 2.35"
If there were any two bike companies to collaborate and make a complete BMX for pro riders, Shadow and Subrosa are sure to be two highly requested brands. It’s a great mix, with Subrosa concentrating on overall bikes and frames while Shadow primarily sells the highest quality BMX parts. Subrosa began in 2006, created between Ron Bonner and Ryan Sher. Ron originally created Shadow Conspiracy and another bike brand called UGP. It’s no surprise then that a BMX love child comes from these two brands. I think having someone that knows both companies well working on a bike like this will make designing and manufacturing the bike super easy and seamless. Combining any two BMX brands, picking the right parts from each one and agreeing on that seems like it could be an insanely tricky task. Having said this, I think Shadow and Subrosa have managed to get everything pretty spot on. You obviously have the Subrosa Frame and Forks that are then littered with the very best parts made my Shadow. 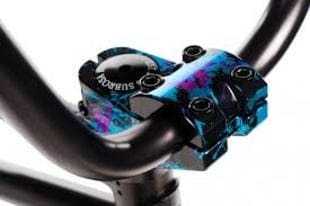 With some of these parts also being the best parts of their kind on the market, such as the insanely strong Shadow conspiracy chain, the Shadow Chula top load stem with the gorgeous new colourway. 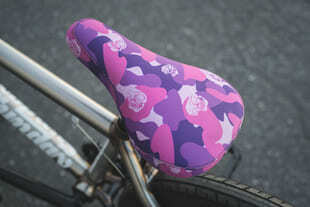 For the saddle, the two companies have collaborated and created a gorgeous pivotal seat. 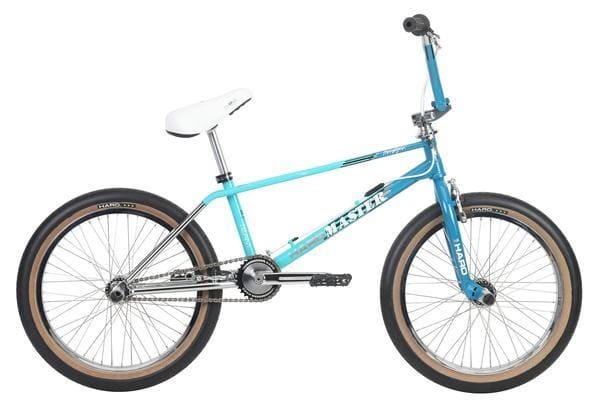 The Sunday Street Sweeper is a great pro BMX bike and isn’t considered cheap at all. Sunday have built this complete bike upon a signature frame design by Jake Seeley. Jake is a great street BMX rider from Massachusetts. Riding in this part of the US isn’t considered a top street riding location but Seeley seems to make it work extremely well developing a specialised riding style that includes some awesome trick linking skills and variations upon tricks that are already very hard to do. Just by looking at the various angles and lengths on the frame you can tell Sunday have built this bike with only street riders in mind. An extremely steep 75.25° head tube angle, a super short chainstay, 4-piece bars, 165mm cranks and an Odyssey Clutch freecoaster prove just how much Sunday have dedicated this bike to street riding. 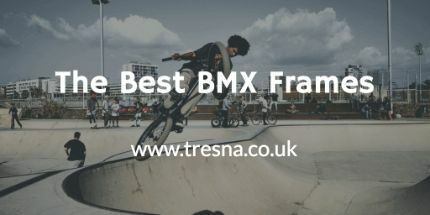 A good way of determining the quality of a BMX frame or bike when it’s the start of a new year and the products don’t have many reviews is to look a the number of years the product has been iterated over and released. After all, why would a brand go through a design and manufacturing process every year if the product wasn’t well received previously? You can also look at the reviews of regular and signature products from previous years and be pretty confident that the next years' version will be pretty similar in quality and characteristics. 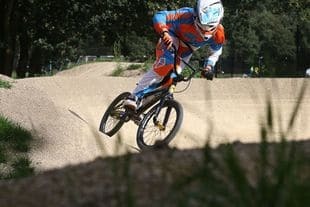 I’m including the most expensive BMX race bikes in a different section on this article due to prices of race bikes often being much more than regular bikes. It would definitely be a boring post if all the top bikes were just race bikes which I know a lot of people have no interest in. 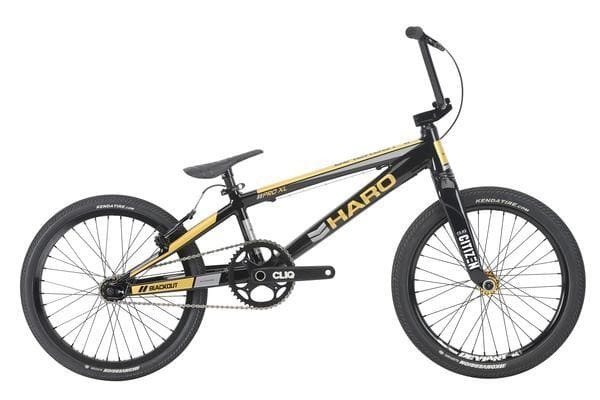 Haro is one of the top companies when it comes to designing and building BMX race bikes. Bob Haro founded Haro bikes back in 1978 when all he was doing was selling number plates for BMX bikes from home. Haro Designs quickly became the name for very obvious reasons as his small business picked up some serious demand. Over the coming years, he progressed his own BMX skills and the sport of freestyle BMX itself, eventually becoming known as the father of freestyle. As the business and Haro himself became more and more popular they started developing top of the line freestyle bikes that people saw him using for insanely cool tricks. It doesn’t take much from there before people start going out and buying Haro BMX bikes and accessories in the hopes of becoming more like Bob himself. Haro has been around for a long time. Over the years they have got pretty damn good at designing different types of bikes and they know what works in different disciplines. It’s also a company that loves their history and heritage. You can see this in their lineage range. These bikes are newly designed and manufactured but with huge amounts of inspiration from the original designs of the 80’s and 90’s. 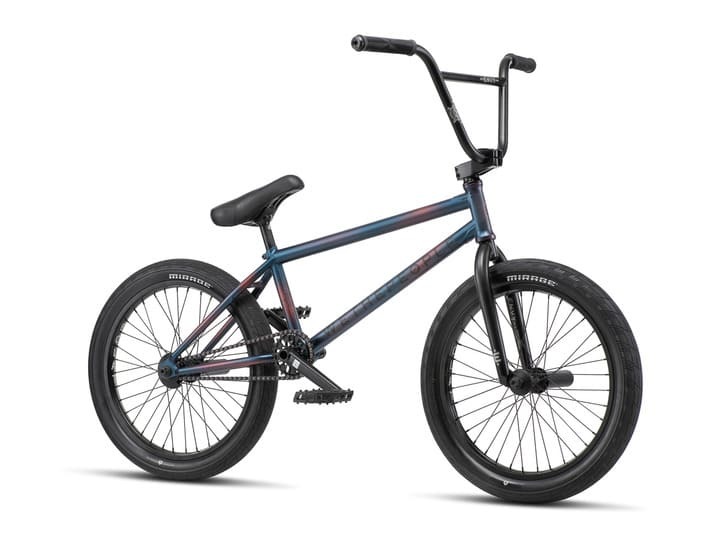 The Blackout Pro Race BMX is one of nearly 20 different race styles produced by Haro, I have no clue whether this is the best BMX of them all but I can’t argue that it’s the most expensive. 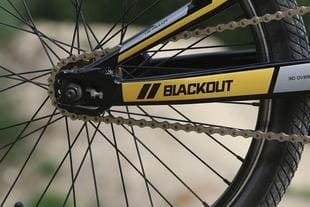 The Expert XL and Blackout Pro both feature a lot of the same components and specifications with the main differences being in the quality and sizing of some parts. The price difference is relatively large so if you’re interested in this bike but can’t justify the price you should consider having a look at the Haro Expert XL. The true value of this race bike comes from the Blackout Power Transfer Centre (PTC) frame that is used. Normally sold as just an aftermarket version that pro’s use on their own builds, Haro have decided to use the frame to throw the BMX into a class of its own. As well as the tapered head tube and 3D dropouts, you will also get CLiQ Citizen carbon forks, 8” Addict bars and a CNC machined alloy stem. 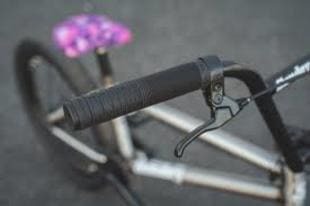 The stem being top load to allow nimble, precise steering while at speed. Haro has developed the Race Lite collection to have a bike for any size of rider on the race track. 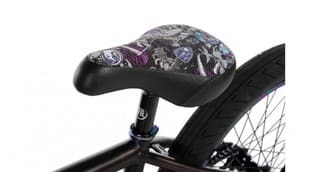 Unlike the Blackout we mentioned earlier, Haro bikes have seven different models of the Race Lite Expert from the Mini bikes for kids all the way up to a 24” version for the larger riders. The best thing about these various frame sizes is the crazy similarities between them. Each frame is basically a copy of the one before it with the dimensions changed for the larger bike. This makes it much easier to switch between them as you grow or progress from one to another. The frames themselves are made from 7005 aluminium with integrated headtubes, butted down tubes and tapered stays. 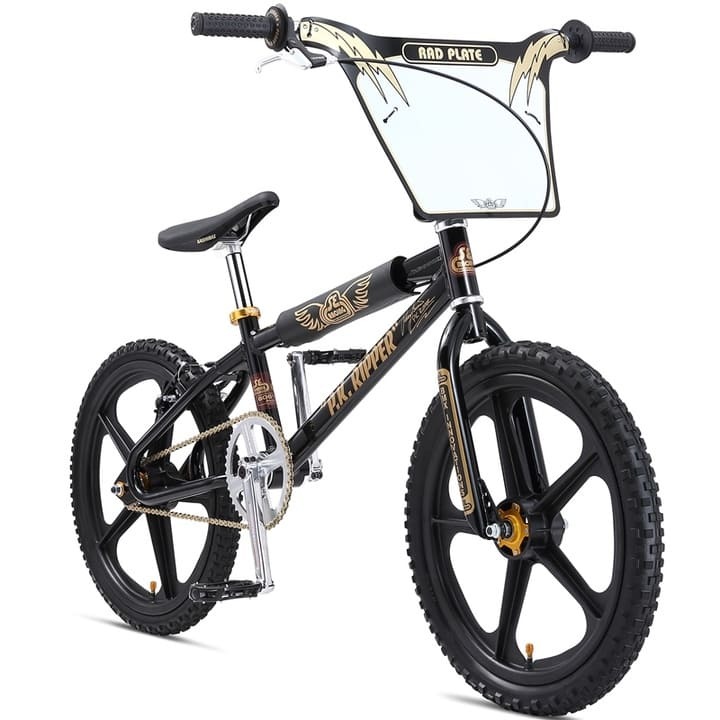 Similar to every other race BMX on the market, the bike has been designed completely with speed and weight in mind the huge front chainring will never comply with riding over the coping of a quarter pipe but it will always give you more speed every time you ask for it. The forks are made by BOX and are made of carbon Fibre. Maybe not the best for foot jams and toothpicks but it’s eliminated a lot of weight which will let you fly through a BMX race track. As we mentioned earlier in this post, Haro has been great at remembering their BMX heritage within their designs. The Lineage bike is a modern take on the 1988 bike that became extremely popular when first released. The Lineage Team Master comes in both a 20 inch and 26-inch model, both with nearly the exact same design just different sizes. I love the unique back triangle shape of this frame. The extra horizontal piece of the top tube behind the seat makes it look very cool and different to the frames of current times. Haro has based this bike around the Lineage Team Master frame, 100% Chromoly with a very unique twin top tube, hourglass Mid BB shell and an integrated head tube. The build also features the original design 1978 plastic pedals, Lineage padded pivotal saddle and seat post clamp, Lineage forks, Lineage Kneesaver bars, Top Load stem and the fully sealed wheels with Lineage high flange hubs and double walled rims. Frame: Lineage Team Master frame. 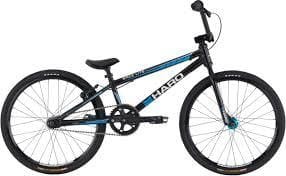 Tires: Haro HPF 100 psi tires 20 x 2.2"
SE Bikes really do hold a significant place in the history of BMX as a sport and more specifically BMX racing. Scot Breithaupt, the founder of SE bikes, at the age of just 14 organised the first ever BMX race in Long Beach, California. After the success of this, he went on to create B.U.M.S (Bicycle United Motocross Society) and soon after created the first state BMX championships in 1972. Five years later, after a lot of track design, publications and BMX promotion, Scot founded Scot Enterprises or as it’s now known SE Racing. The first bike produced by Scot Enterprises was the bike pictured below, the Quadangle. This was quickly followed by the famous PK Ripper that we are analyzing here today. In the early days of BMX, everything was being figured out as they went along. There weren’t tried and tested designs like there are today that people can confidently ride without worry of a slightly wrong landing snapping the bike and that’s where Perry Kramer came in. He was the best rider on the SE Bikes team. He was riding what was then known as the JU-6 bike which has a similar design to the PK Ripper. Kramer wasn’t happy with the strength of the frame and so demanded a gusset be welded onto the top tube junction point. This bike quickly became the Perry Kramer signature and he developed it into one of the most well-known BMX bikes ever made. SE Bikes focus a lot of their time on the more retro bikes. They do a great job of keeping the bikes updated but still keeping the essence its style that was there when it was first built and ridden. 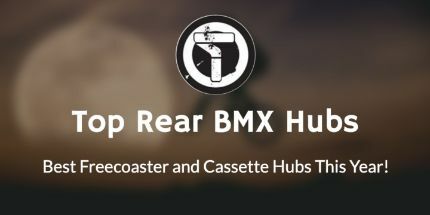 Bikes like Big Ripper, Gaudium and PK Ripper Elite XL show the innovative designs they came up with in the early days of BMX and really set them apart from other bike brands. This year SE have equipped the bike with Redline Flight Cranks, a Kashimax RS seat, Tuff II Tuffwheels and much more to keep this old school BMX looking and riding great. Seat: Special Edition Kashimax RS x SE Racing Collab Seat.